When in danger or in need of help, press down on the recessed alarm button and it will immediately sound an ear piercing 130 dB alarm that is bound to alert everyone around you. Personal alarms are an effective method of self protection. With this Keychain Panic Alarm, you now have a personal alarm that you can carry with your keys. When in danger or in need of help, press down on the recessed alarm button and it will immediately sound an ear piercing 130 dB alarm that is bound to alert everyone around you. You can either press the alarm button lightly for the alarm to sound briefly or push the button completely to have a continuously ringing alarm. This is one of the loudest panic alarms available at 130dB. In addition to the powerful alarm, this model also features a built-in flashlight that will provide you with a source of light during the night time. Be well-protected by carrying this compact mini personal alarm on you at all times today! 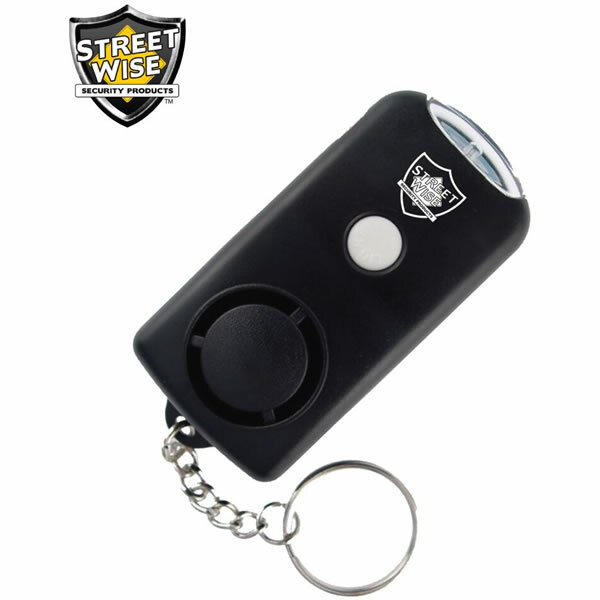 With the Streetwise Key Chain Panic Alarm, security is now as close as your keys. A person is most likely to be attacked at night while walking to or from their home or car. 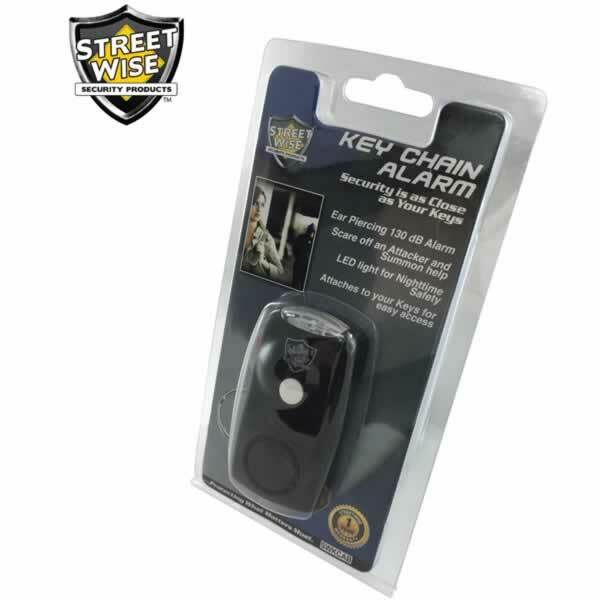 This compact alarm conveniently attaches to your keys so you can be ready at a moment's notice to sound the 130dB alarm to scare off an attacker and summon help. For added security and convenience, the Key Chain Alarm has a built-in LED flashlight.